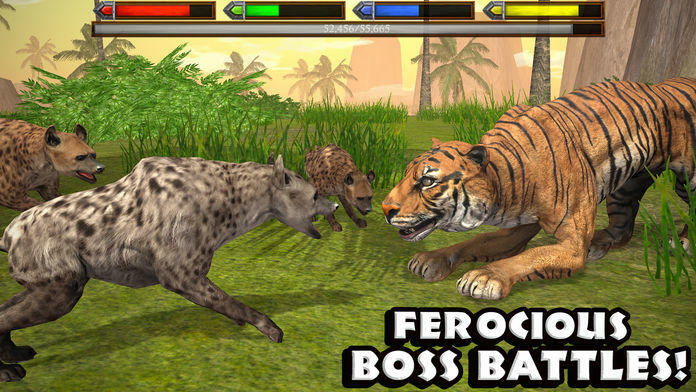 Dash into a brand new adventure as a lightning fast Cheetah, enormous Elephant, or a deadly Crocodile! 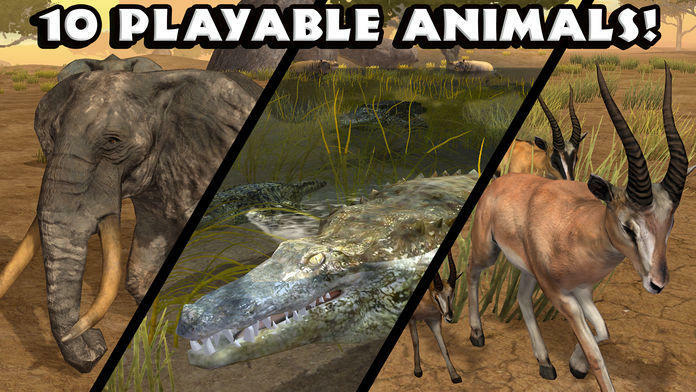 For the first time ever, choose from TEN PLAYABLE ANIMALS! Hunt down food on the grassy plains, raise your family, and unlock exciting new playable animals as you experience life in the African savanna! 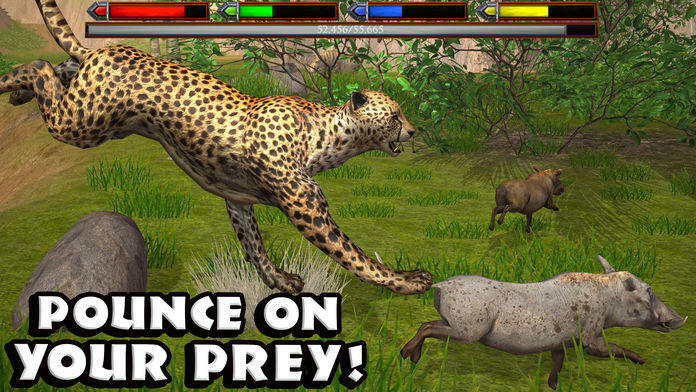 Download the Ultimate Savanna Simulator today while it's 50% OFF for a very limited time! 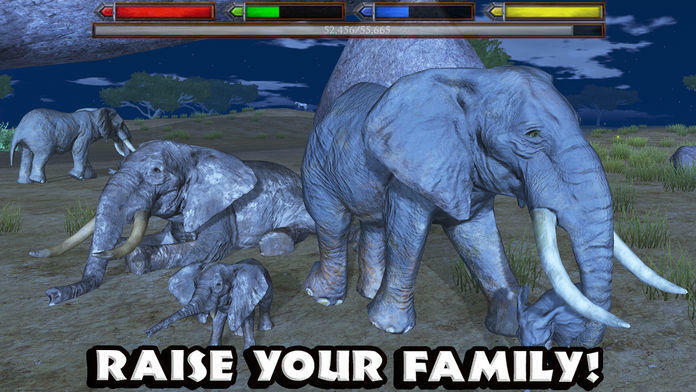 You'll need to maintain your health, hunger, thirst, and energy while ruling over the African plains! 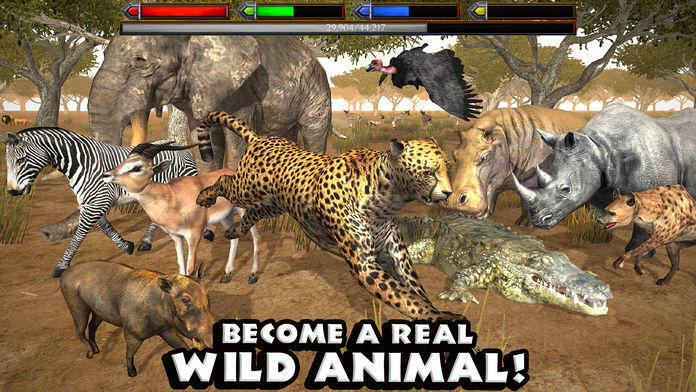 Choose from your favorite species of african animals in a single game! Become a Cheetah, Hyena, Gazelle, Rhinoceros, Zebra, Elephant, Hippopotamus, Crocodile, Vulture, and a Warthog! Each species has their own families, experience, and levels! 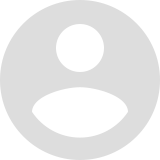 Test your skills against SIX thrilling boss battles! A massive tiger rules over the jungle oasis! A legendary animal awaits you in the sun soaked plains and will push your skills to their limits! Gain experience by catching and eating your prey, caring for your family, and completing missions! Level up your animal to increase their health and attack damage, earn points to upgrade your stats, and increase the size of your pack! Buff Points can be used to upgrade your Snarl and Roar Buffs, which create temporary Stat Boosting auras around your animal when active! Explore a world so big we created TWELVE unique dens for your animals to live in! Explore grassy plains, a dense jungle oasis, an arid sandy dunes of the desert! 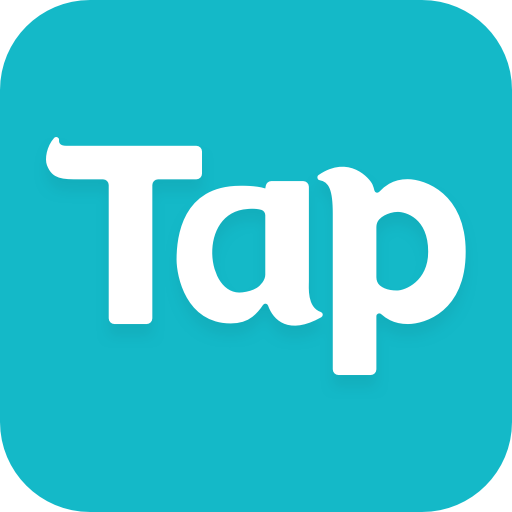 Hunt down animals like hyena, gazelle, impala, elephant, rhinoceros, snake, fish, flamingo, stork, crocodile, african dog, rabbit, water buffalo, wildebeest, warthog, tiger, giraffe, cheetah, lion, vulture, hippo and many more! Download the Ultimate Savanna Simulator to transport yourself to the a wild African world filled with hidden dangers and live the life of your favorite wild animal! If you liked living as on the Savanna then you'll love our other animal simulators! Download our Ultimate Wolf Simulator and live a wild life in the forest, or turn the Ultimate Dinosaur Simulator and discover a long lost Prehistoric World of Dinosaurs!